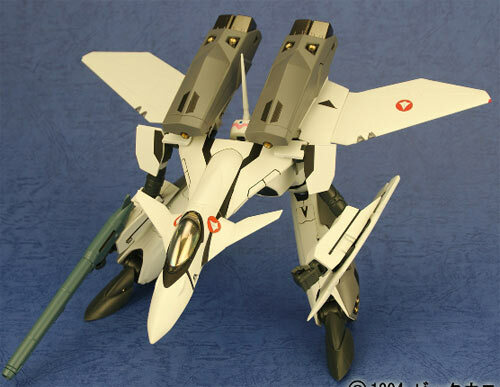 Update: 10/18/2009HWJapan also has it up for pre-order, cheaper too at 15,040.Yen. 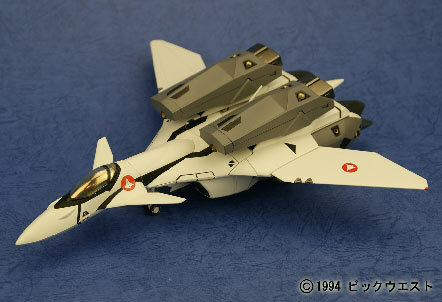 Update: 10/14/2009 Hobby Search has this up for pre-order already here and its going for Y17,860. 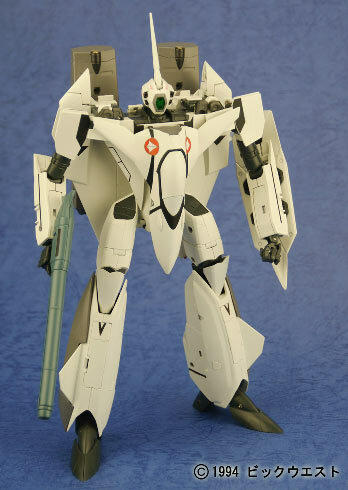 Yamato Toys seems to be going into full swing using their license to produce Macross 7 products by announcing right away a new product in this line a few days after announcing that they were making 1/60 VF-22S of Max and Milia Jenius. 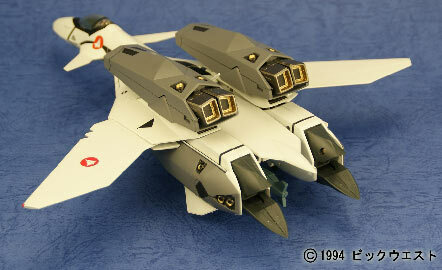 Bet you didn't see this coming, a rendition of the VF-11C Thunderbolt Cannon Fodder from Macross 7. 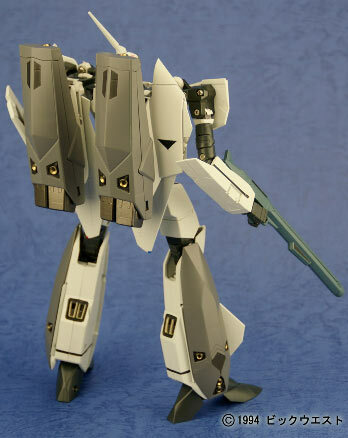 According to the literature on the site, the VF-11C is different from the VF-11B that Yamato toys is also selling in terms of the design of the : Gun Pod, Super Pack booster nozzle, Pilot figure and micro missile launcher. And of course the color scheme. 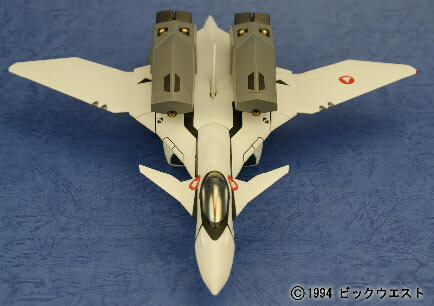 The VF-11B has a bayonet on the end of its gun pod while this one doesn't, so I guess there really is a difference? 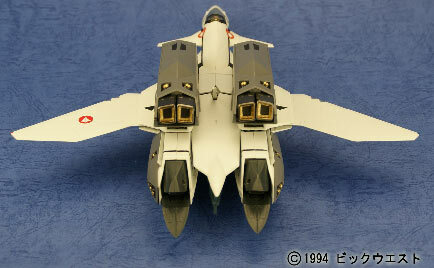 The VF-11C is expected to go on sale on November 2009 and will carry a price of 19,740 yen after taxes. 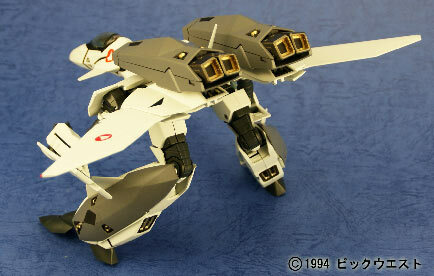 I hope they make an GBP-1S armored pack for the VF-11C one, like the one we were shown at Macross 7.